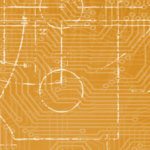 Representing over 19% of total UK employment, engineering has a significant effect on the British economy. At a time of economic uncertainty, engineering currently faces a very real crisis in the ever-growing skills gap. And the crisis is taking its toll, with companies such as Tulip reporting a significant downturn in profits, leading to hundreds of job losses. The government announced that 2018 was to be the ‘Year of Engineering’, a public acknowledgement that the sector is facing a major skills crisis: jobs just aren’t being filled. An ageing workforce, severe talent shortage, STEM skills gaps and low apprenticeships numbers (especially among females) have left employers grasping for any available workers. Most companies in the sector have an average workforce age of 41+, with over a third of the current workforce expected to retire in the next decade. Out with the old and in with the who? So as an ageing baby boomer generation settles into retirement, taking their skills with them, the focus has shifted to the new generation. But younger workers aren’t readily available and many lack the necessary skills required for the critical roles. 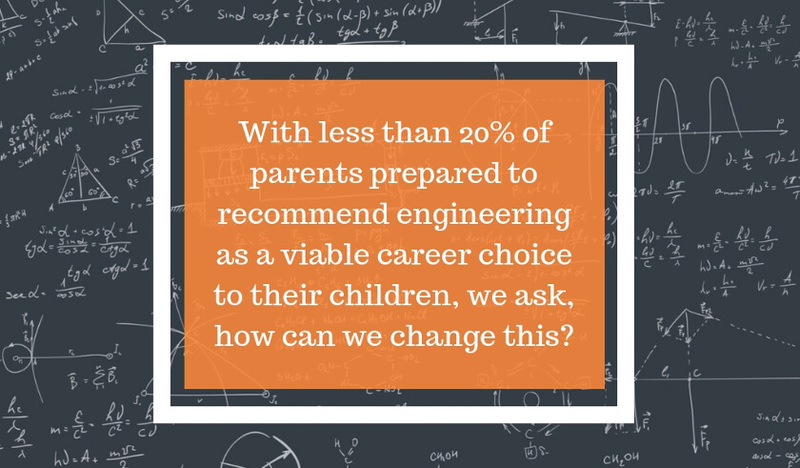 To address this, measures need to be taken to counteract the public perception of engineering, as less than 20% of parents are prepared to recommend the role to their children. A recent Institute of Mechanical Engineers study shows that more young people would consider engineering if they had had a chance to engage meaningfully with the subject at school. Companies need to engage a younger workforce by effectively highlighting the benefits of working in the sector. This would mean recruiting from less traditional pathways and for key influencers to connect with educational institutions in their communities, placing an emphasis on the transferable skills that would greatly benefit a candidate’s role in the industry. A recent government study revealed that 186,000 skilled candidates will need to be recruited every year until 2024 in order to effectively reduce the skills shortage. If these targets are to be reached, then companies need to start taking action and adopt new strategies immediately. The industry is mostly made up of SME’s that tend to lack the necessary resources to create effective recruitment campaigns, so the onus falls on the manufacturers and educational institutions to alter public perceptions of the sector and adopt innovative in-house recruitment and training techniques. The drastic lack of new skilled workers has led to increased recruitment, training and temporary staff costs, adding up to £1.5bn a year. Despite the appeal of temporary work contracts for some engineers, most workers still prefer the stability of a fixed contract, especially as agencies are taking a cut of up to 20% from temp-workers earnings. So, a good place for manufacturers to start is to do away with costly interim positions which appeal to fewer and fewer workers and instead ensure positive steps forward for both employees and overall profits by offering full-time contracts. Permanent work offers the financial stability of a steady income, which allows for more accurate budgeting. Many full-time positions also offer bonuses which temporary ones can’t, as well as the continuous professional development opportunities that can lead to senior roles. The education system needs to introduce certain topics and skills training to encourage young workers to fill the vacant roles. Forward-thinking manufacturers could work directly with local schools to ensure worthwhile programmes are set up to feed the industry with trained and motivated youngsters. Companies could begin to provide in-house training by introducing ‘slow-down’ schemes where ageing workers with vital skills move into part-time roles, allowing time for their knowledge and expertise to be passed down to the new generation, before settling into retirement. The good news is that there are already numerous ways to build the necessary skill set with the right support. For those already working in the sector, specialist recruitment companies offer wider networks, a greater understanding of the specifics of each role and what the job entails and how to introduce quality candidates to high-quality roles. Access to many apprenticeship schemes are available to workers aged 16 to 65, so apprenticeships aren’t only for the youngsters amongst us. In fact, a recent study shows 8/10 manufacturers are offering apprenticeships to candidates of all ages, many with the option to earn while you learn. Training programmes and apprenticeships are available to graduates and to those already in the workplace, which is fantastic news for any candidates hoping to gain degree-level qualifications without carrying the hefty burden of debt. Hereford University is attempting to meet the needs of the industry in new and creative ways by adopting unconventional methods of education designed specifically to overcome some of the obstacles that prevent people from studying engineering. With courses offering an increased level of faculty contact, coupled with mandatory work placements of up to a year, students are set to receive greater value for money as well as a more developed and practiced skillset by the time they graduate. The Skills Funding Agency is responsible for spending £3.2 billion per year on numerous apprenticeships and study grants, which are available through government-backed regional operators. For younger people not in education, there are always NEET traineeships. The National Apprenticeships Service and The National Careers Service also offers key professional advice on training, skills and careers, all of which can be accessed through Local Enterprise Partnerships who work with local schools and communities. For the sector as a whole, there is a way out of the mess, it just takes a spot of radical thinking and immediate action.